Give Me New Noise: Half-Mute Reflected is a new imagining of Tuxedomoon‘s classic 1980 album Half Mute. It is a tribute album for which 13 artists have specially created covers of all songs from Half-Mute and from the album’s associated singles. The contributors include Foetus (covering What Use? ), Aksak Maboul, Simon Fisher Turner, Norscq, DopplAr (feat. 2 members from Amatorski), Cult With No Name and others, with special appearances by the three makers of Half-Mute, Steven Brown, Peter Principle and Blaine Reininger. 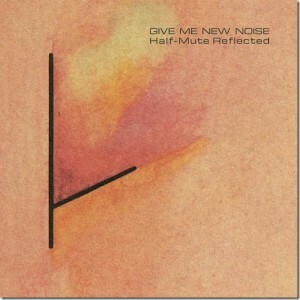 Give Me New Noise comes out in three formats: as a stand-alone vinyl LP (with covers of the original 10 songs, plus two bonuses contained on a 7″ vinyl inserted in the LP), as a digital album (with three bonus tracks), and as part of the new remastered CD edition of Tuxedomoon’s Half-Mute, along with the remastered original album. The CD edition also contains the three bonus cuts. The album is released on April 29 2016 on Crammed Discs.